Passed on to me from my mum, the set of The Christmas Books that I own was originally a gift to her from my grandparents, making it not only a winter treat but also a valued family heirloom. This set of course includes the famous A Christmas Carol, but additionally contains lesser-known tales The Chimes, The Cricket on the Hearth, The Battle of Life, and The Haunted Man. A strange mixture of universal lessons for all the family and quite advanced language, images and socio-historical references, they are the kind of stories that you appreciate more as you get older - whether familiar or unfamiliar, they are packed with so much detail that each year you discover something new. Having been a Gaarder fan for around fifteen years, I am bound to have a soft spot for most if not all of his works. However, I truly believe that The Christmas Mystery achieves Gaarder's usual goal of making philosophy accessible to beginners (whether adult or child), but through a new, innovative format that distinguishes it from his other books. It tells the story of a magical advent calendar through what is essentially an advent calendar itself, with the book being divided up into chapters that are dated for every day in December, with the whole family being able to enjoy hearing the story unfold each year in the buildup to Christmas Day. 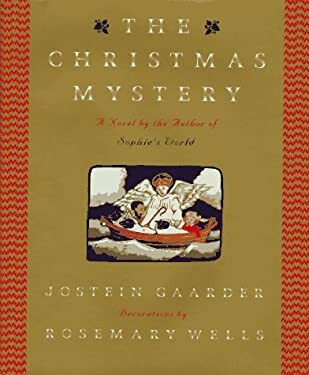 Heart-warming and thought-provoking without being too saccharine, Gaarder manages with The Christmas Mystery to add justly to his legacy. This one hasn't had a chance to become a Christmas classic yet, as it was only rereleased last year, but it's clear from even the first reading that Gibbons penned a worthy follow-up to the original Cold Comfort Farm. This collection of seasonal short stories proves occasionally predictable, but we could argue that at Christmas, we seek less to be surprised than to be comforted, and Christmas At Cold Comfort Farm ticks the boxes on this score without departing from Gibbons' previously-demonstrated skills. The writer steps into the role of fairy godmother as we suspend disbelief for a moment, and by the end of the volume, we almost wish that Gibbons could tap on our own shoulder and tinker with our lives too. Continuing on the theme of compilations, The Atheist's Guide To Christmas invited heathens from all over to write about what Christmas means to them. Perhaps unsurprisingly, some entries are better than others and resonate more with the reader's own personal trajectory of belief; equally, all of the writers chosen have something of value to offer on this theme, regardless of how they express this. Something to savour throughout December, it's a volume that can be dipped into with ease whenever you want to think hard with AC Grayling, be amused by Jenny Colgan, or do both with David Baddiel. Another compendium here, and the last one on my list. Cantacuzino has amassed a wealth of festive treasures here, ranging from novel extracts and poems and to engravings and journal entries, meaning that there is always something new and refreshing to look at. Again, reading the book in chronological order is not recommending, as you will just end up knowing the same ones intimately and becoming bored with the same others. Definitely a traditional collection though - so steer clear if modernity is your thing. The Gift of the Magi (O Henry): A short story about newlyweds who struggle to buy secret gifts for each other on a low income. Written in 1906, it has already been adapted several times. The Polar Express (Chris Van Allsburg): This 1985 tale was adapted into a film in 2004 starring Tom Hanks, and focuses on a small boy's trip to the North Pole on a magical train. Now widely considered a children's classic, it would be a shame to miss this one. Christmas Poems (UA Fanthorpe): This, and the next item, is shamelessly yoinked from Guy Browning's 2004 list of recommendations. As shown by the seminal The Night Before Christmas, there's nothing like a good Christmas poem to raise the spirits, unite the family, and get children interested in poetry. Similarly to JRR Tolkien's letters, this volume arose in 2008 from poems that Fanthorpe wrote in Christmas cards to friends from 1974 onwards. I can see this one fast becoming a real treat for many families. Families and How To Survive Them (John Cleese and Robin Skynner): In the same way as Jilly Cooper adds a touch of tongue-in-cheek wit to perennial Christmas problems (Cooper does it through How To Survive Christmas), the immediately identifiable humour of John Cleese comes to the fore in gently mocking the predicaments that come with hosting the family each Christmas. Whether your mum's had too much to drink or your dad's fallen into a deep seasonal sleep, I'm sure it would be pretty difficult for Cleese and Skynner to fail in leavening the mundanity of the whole thing. Letters From Father Christmas (JRR Tolkien): Although best-known for his Lord Of The Rings trilogy, Tolkien also worked on plenty of other projects. Originally written for his own children between 1920 and 1942, the letters were only collated and published posthumously. This volume promises to be a wonderful insight into Tolkien the man and father, fleshing out our image of him beyond Tolkien the writer. A Christmas Memory (Truman Capote): This daring author's autobiographical short story was published in 1956, and details his relationship as a seven-year-old with an ageing relative at Christmas. This, too, could lead to a more rounded perception of Capote the person, as opposed to Capote the celebrity. It has already been republished many times since in several anthologies.